The Bermuda Health Council and the Bermuda Sun have teamed-up to answer your questions about the island’s health care system. Question: I decided to change doctors and would like to take my medical file; however, the doctor wants to charge me to produce a copy of my file. I’ve never had to do that before, has something changed and can my previous doctor do that? Answer: The Bermuda Health Council has recently received a number of questions regarding fees charged for the transfer of patient files. Bermuda’s health system operates largely as a free market system. A minority of fees are regulated and these are prescribed by the fee schedules available on our website: http://www.bhec.bm/for-professionals/fee-schedules/. However, the transfer or copying of a patient’s file does not have a regulated fee and so practices are able to set their own rates. Some practices don’t charge for this service, while others will charge varying rates for copying and transferring your file to a new provider. According to the Standards of Practice for Medical Practitioners, physicians should “communicate fees for non-clinical services (e.g. copying medical records)…” so before your file is released they should inform you of the fee. While patients may wish to have their medical records for free, it’s important to remember that health service providers do incur administrative costs to perform the service and in our health system structure the law does not prevent them from charging what they believe a patient can afford. If you are unable to afford the fee requested, discuss this with your physician and if you are unable to find a solution, contact the Bermuda Medical Council who may be able to assist. 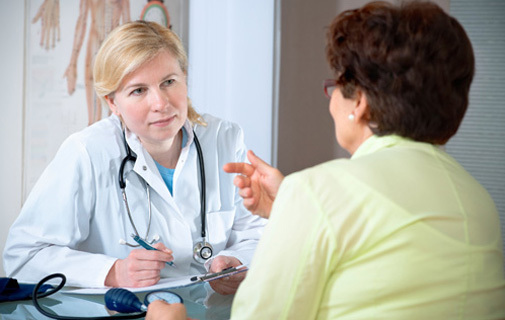 Question: Is my doctor allowed to disclose information to my wife? Or should all of our dealings be confidential? Answer: This year, the Bermuda Medical Council introduced Standards of Practice for Medical Practitioners. According to The Standards, physicians must maintain patient confidentiality even after a patient’s death. This confidentiality includes not disclosing information to a patient’s spouse, children, siblings, family or anyone else without the patient’s consent. Physician offices can address this by asking patients in advance to sign a consent of release of information, listing another responsible family member(s) who can receive information as needed. Question: I was referred to a specialist recently for a specific test. Though the test was complete, the specialist did not communicate the results to my physician. What can I do? Answer: Without knowing the specifics of this case, we would suggest discussing this with the specialist and the physician to understand why there was a breakdown in communication. Should you still have concerns about the level of communication, we would suggest submitting a complaint to the Bermuda Medical Council (BMC). Matters in Healthcare: How can small firms contain health care costs? Matters in Healthcare: Is it possible to curb costs?